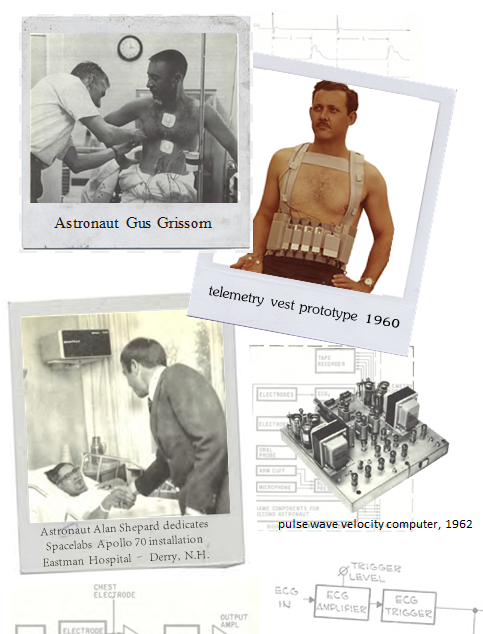 SNOQUALMIE, Wash., August 27, 2018 (BUSINESS WIRE) — This month marks the 60th anniversary of a pioneering medical telemetry company that helped enable the first American spacewalk and the historic Apollo 11 lunar landing. Spacelabs Healthcare, a subsidiary of OSI Systems, Inc., began in 1958 as co-founders Ben L. Ettelson and James A. Reeves began working with the U.S. Air Force and (NASA). Spacelabs went on to become a prime contractor to NASA for the historic Gemini and Apollo missions. The Gemini Program required real-time, remote physiological monitoring of orbiting astronauts from Earth. Spacelabs’ innovation in medical telemetry helped make history as part of the Gemini IV flight as astronaut Edward H. White II became the first American to walk in space in June 1965. In 1966, Spacelabs introduced its ground-breaking medical technology to civilian healthcare facilities. By 1968, Spacelabs had expanded its line of products to offer a range of bedside and multi-patient central station monitors. NASA’s Apollo Program was dedicated to fulfilling President John F. Kennedy’s challenge to land a man on the moon by the end of the decade. In July 1969, Neil Armstrong stepped onto the moon wearing Spacelabs telemetry. NASA honored Spacelabs with a certificate of appreciation for outstanding contributions to the Apollo Program. By the early 1970s, Spacelabs was installing its “Apollo 70 Cardiac Care Monitoring System” at hospitals throughout the United States, with astronauts including Alan Shepard and Edgar Mitchell attending in person to participate in the dedication celebrations on several occasions. Spacelabs Healthcare (www.spacelabshealthcare.com), a subsidiary of OSI Systems, Inc., is an international developer, manufacturer and distributor of medical equipment, services, and supplies and accessories selling to hospitals, clinics and physician offices. Spacelabs has offices in the United States, United Kingdom, Canada, France, Germany, Italy, China, and Singapore, and distributors in more than 100 countries around the world.